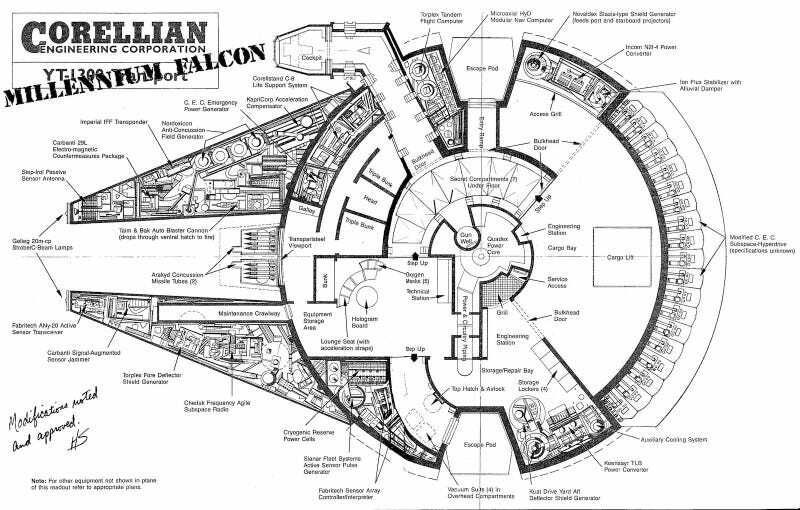 Not a single Bothan died to get us this blueprint of the Millennium Falcon. Take that Leia. Also, please note that Han lied. Those hidden smuggler compartments? They are totally on the blueprints. OK, sorry, back to the car geekery.